In recent years, technology has become more and more integral to our day to day lives. We live in a society in which ideas are a driving force, rather than basic goods. Technological advances continue to change the way people all over the world live their lives every day, and employers are eager to capitalize on this. For this reason, you might consider studying technology in the United States. There are very few ways in which technology does not affect our lives. We are almost always using technology of some sort, and our reliance on technology is only going to grow as time progresses. According to the U.S. Department of Labor, employment growth over the next few years will be driven by our increasing reliance on technology and the continuing importance of maintaining system and network security. Because of this, employers need well-educated and highly qualified individuals who understand the latest developments in technology to fill high-tech positions. Students who study technology in the US will find that there is no shortage of need for the skills that they have to offer. Universities and colleges in the United States offer a wide variety of programs with specialized focuses in areas such as security, user interface design, and geospatial technology. The courses you will take in these programs will incorporate both theoretical and hands-on practical training. When choosing a college or university at which to study technology, there are a few things that you need to keep in mind. Remember that the school you choose could affect your future career prospects, so this is an important decision into which you should put a great deal of thought. One of the most important things in a technology program is that its curriculum must reflect the latest in technology. For this reason, a university or college must be sure to update its curriculum so that it’s relevant. You don’t want to spend a year (or worse—four years) focused on a specific platform, only to suddenly and without warning find that the platform is no longer relevant. You should also be sure that the college or university provides the equipment you need to study your area of interest. For example, you wouldn't want to study network engineering at a school that does not provide the necessary equipment for practical training. You may want to look for programs that allow their students access to high-end industrial tools and equipment, as well as colleges and universities with fast network connectivity. Both of these will vastly improve your experience while studying technology, and make your studies much easier. You want to find a college or university that employs faculty with industry experience, and you want to be sure that the program regularly seeks the advice of technology professionals when shaping future curriculum. This way, you can be confident that your school is keeping on top of engineering technologies. 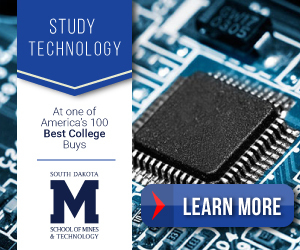 In addition to bachelor’s and master’s degrees in technology, you can qualify for many careers in technology with a Certificate or Associate of Applied Science degree. You can earn these degrees at technical or community colleges, private specialized training schools, and for-profit training companies. You can later choose to continue your studies with a bachelor’s or master’s degree if you are interested in a management, research, or security position in technology. Combines engineering and technology in areas such as robotics, simulation, and real-time systems. Incorporates advanced work with software, programming languages, graphics, operating systems, and user interfaces. Involves developing server-based applications using standard web protocols. Involves writing application programs to instruct a computer to perform a variety of tasks. Visit the Study in the USA School search to find schools that offer programs of study in Technology. Over time we will be updating this section and including more information for those who want to study technology in the USA and for other countries, but please feel free to post your thoughts and comments on our Facebook fan page, and also follow us and post questions through Twitter.